On last night's Abrams Report on MSNBC, Jesse Jackson reported that Michael Jackson is planning on opening a theme park in Africa... you know, for kids. No word yet on whether he will be playing "find the elephant's trunk" with park visitors. If you haven't had your fill of a geek, a jock, a jap, a loser and a tough guy in a while, never fear. 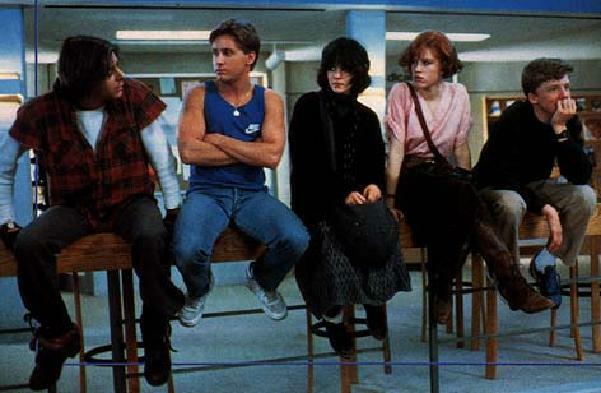 MTV is reuniting the cast of "The Breakfast Club" just in time for the MTV Movie Awards this June 9th (and, shiveringly, to celebrate the 20th anniversary of the landmark film). Think Emilio Estevez might take time off from making "The Mighty Ducks 17" to attend?